AVUK, (http://www.avuk.biz) Sky’s approved installer in the South East for communal dwellings and do mestic properties, new website was recently launched. 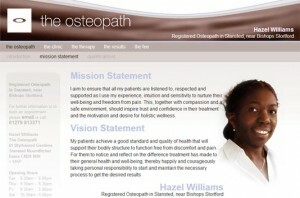 Designed, developed and hosted by Toucan Internet, this bespoke site is fully content managed by the client. Search engine optimised to deliver the right visitors from the search engines, this visually appealing the site leads the visitors to the information they seek and presents them with clear and easy to use “calls to action”. 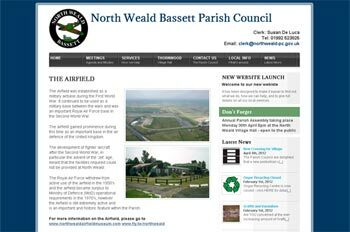 Visitors can search the site, make quick contact via a simple field from and sign up for news and offers. The Toucan Control panel not only enables the management of the site content, it gives AVUK control over the newsletter subscription and provides a mass emailing function. The bespoke control panel facilities are all designed to increase business efficiency and integrate web activity with the routine business activity. If you think this website will be of interest to your friends and associates please link to it and spread the word. Harry’s Bar, Splendid London Restaurants with an advanced website. The decision to choose between a routine website and one that ups the game to run business processes and online marketing is a big one, however the ongoing benefits of automating routine procedures saves time and money. We were delighted to be commissioned to redevelop the website at Harrys.co.uk as Toucan Internet LLP started as Harry’s Bar’s web partner with their very first website that was developed in 1999. The creative design was critical in capturing the essence of these two quite different Harry’s Bar restaurants. This exciting design involved considerable liaison with the team at Harry’s Bar and the photographers who shot some stunning images that project exactly what Harry’s Bar is about. Since a greater amount of decision making will be done through mobile web than is done on conventional pc’s over the next few years, Harry’s Bar’s new website also supports a responsive design that is automatically used in favour of a wider screen rendition if viewed on smartphones. All menus have a dedicated print version that emulates the real restaurant menus such that they can be printed and reviewed before visiting the restaurants. Finally when you’re in town next and fancy a bite to eat away from the madding crowd, we wholly recommend Harry’s Bar for a warm welcome, exquisite food and great atmosphere – you will not be disappointed. Furthermore on presentation of a printout of this article before the end of November 2012 you can get 10% discount on the a la carte menu at the Ironmonger Lane venue. Many thousands of visitors to the website every month have already discovered Harry’s Bar, now it’s your turn. For more information and a chat about affordable professional website development for restaurants please feel free to contact Simon at Toucan Internet LLP and improve your online success. When Lattenbury Services required a professional website in 2002 Toucan Internet were recommended by their professional advisors and we designed and built a website that met the requirements and lasted ten years with a few modifications along the way. Since Lattenbury Services were pleased with the consistent service offered by Toucan over the years, despite keen local competition, we were asked to redevelop this simple but important site that we’re now pleased to publish. The work also required some branding work to define more strict control of the logo and the strapline. 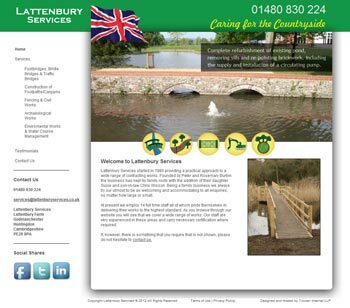 Lattenbury Services offer construction services for the countryside. The bridges, footpaths, water courses and environmental and archaeological works are all best demonstrated with clear pictures. The site’s original creative design therefore includes many quality images rotating on the pages with information splashes, making for an interesting and captivating visitor experience. Whilst Lattenbury Services do not run a social media program at the moment, we included popular social shares so that visitors can promote this website out through their social channels. Let’s see this website stand the test of time like the original one produced in 2002. 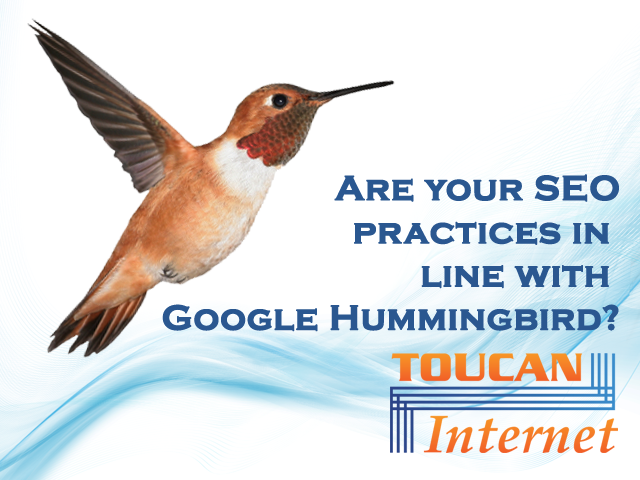 For more information and a chat about affordable professional website development and how Toucan Internet LLP can improve your online success, please feel free to contact Simon at the contact points below.